Home > News > A BRIGHT START TO A GLOOMY SEPTEMBER MORNING ! A BRIGHT START TO A GLOOMY SEPTEMBER MORNING ! 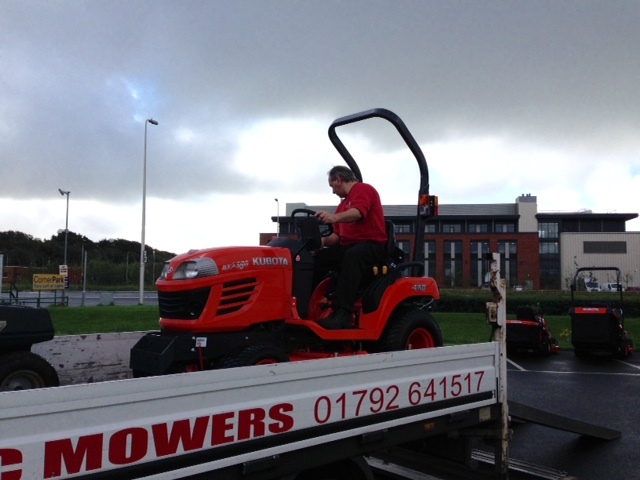 What a nice start to a pretty gloomy September morning - although the sun did come out when Dave left the depot ! 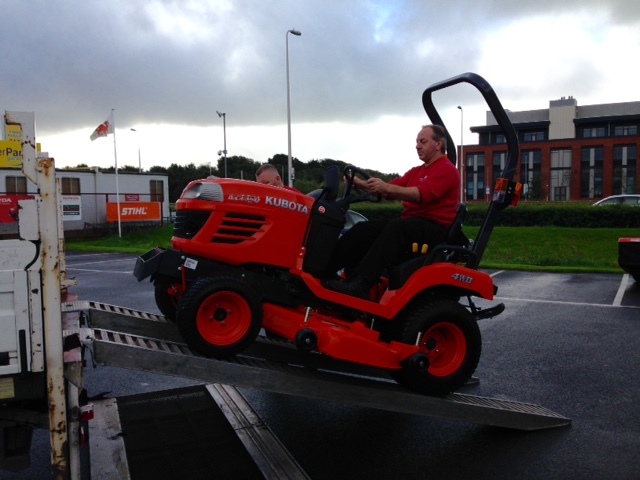 Dave is loading our Kubota BX2350 , 4 wheel drive, sub compact tractor for delivery out to one of our loyal customers. Dave particularly like this customer as it's none other than Swansea City Football Club. Dave said "It's one of my favourite delivery destinations. The car park is full of exotic sports cars and the players are usually hard at training. As my passion is football & cars it really does make my day. By the way don't I look good in the photo's". 23hp, 3 cylinder diesel engine. 2 range hydrostatic drive with forward & revers pedal. Independant mid & rear PTO.